Located in Lobby F, The UPS Store is both a self-service and full-service operation, depending on the customer’s needs. Hours are tailored to meet the needs of convention managers and attendees. A wide range of supplies and services including shipping, high volume copying, faxing, badge chains, etc., are available. 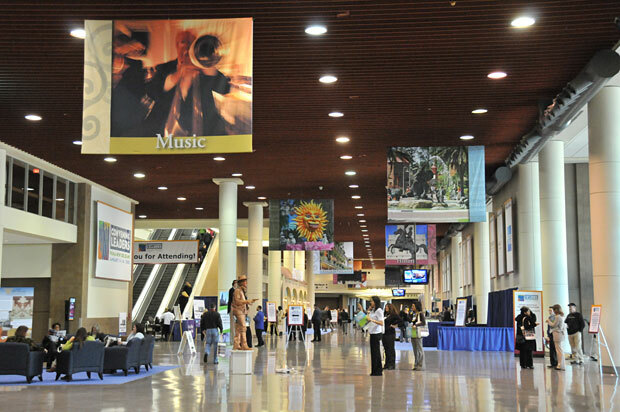 The New Orleans Ernest N. Morial Convention Center is the exclusive supplier of Internet connectivity for all events within the facility. We are equipped with a DS3 (45mbps) dedicated Internet connection to a national provider, and can provide Internet and networking connectivity to any area of the facility. Our connections require nothing more than your properly configured computer and a standard ethernet network card to connect you to the internet. As a full-service provider, we supply all cabling, networking equipment and support necessary to insure reliable Internet connections. We offer free Wi-Fi in public areas to all of our guests. All you need to do is turn on your device’s Wi-Fi functionality and choose the ‘MCCNOFREEWIFI’ network.